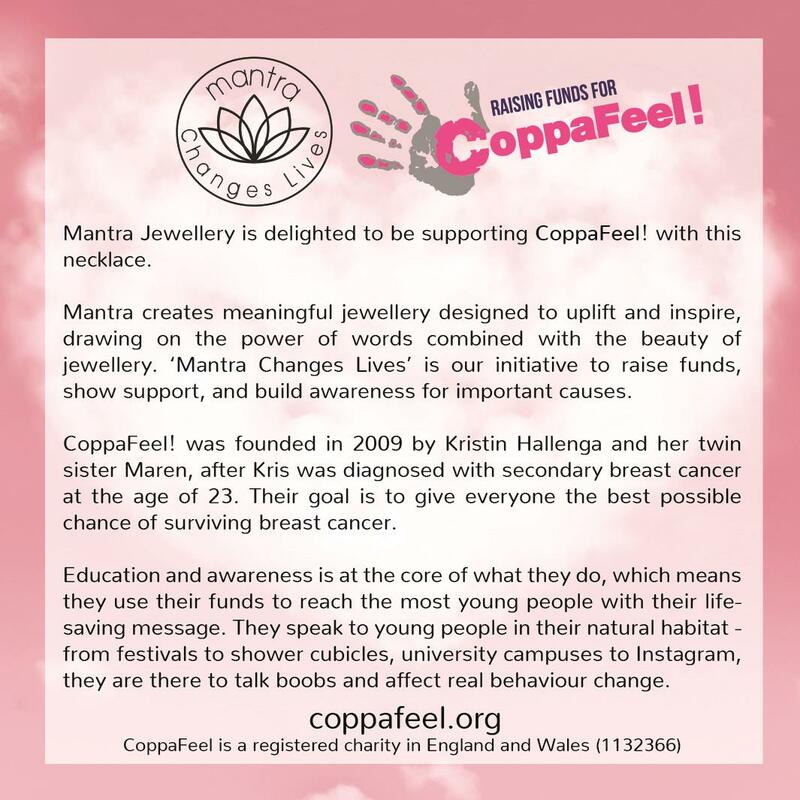 This beautiful necklace in our ‘Mantra Changes Lives’ collection raises money for Breast Cancer Haven, a superb charity that helps women through breast cancer treatment, providing emotional and practical support. 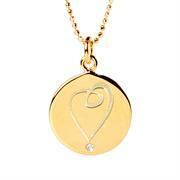 The mantra is a testament to how loved and special each individual is. 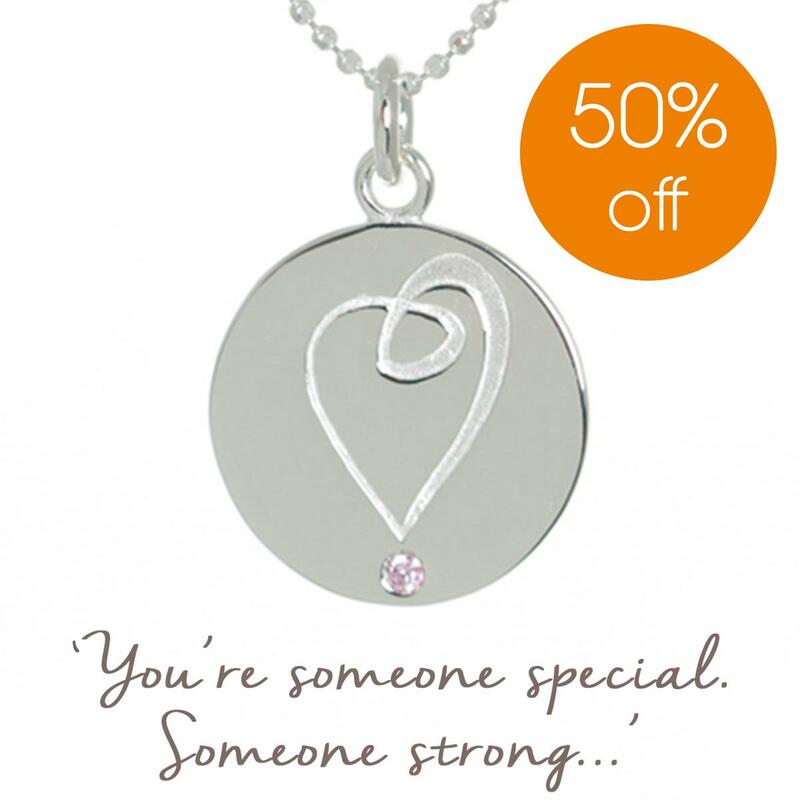 Perfect gift to support someone going through breast cancer or other illness | a powerful reminder to a friend or family member of how special and loved they are. The disc necklace features a heart with a pink cubic zirconia stone set beneath, with the charity’s signature ribbon swirl incorporated into the heart design. The piece represents the inspirational mantra, ‘You’re someone special. Someone strong. Someone loved’, which is a powerful message celebrating each person’s unique individuality; and a loving message for a partner or friend. 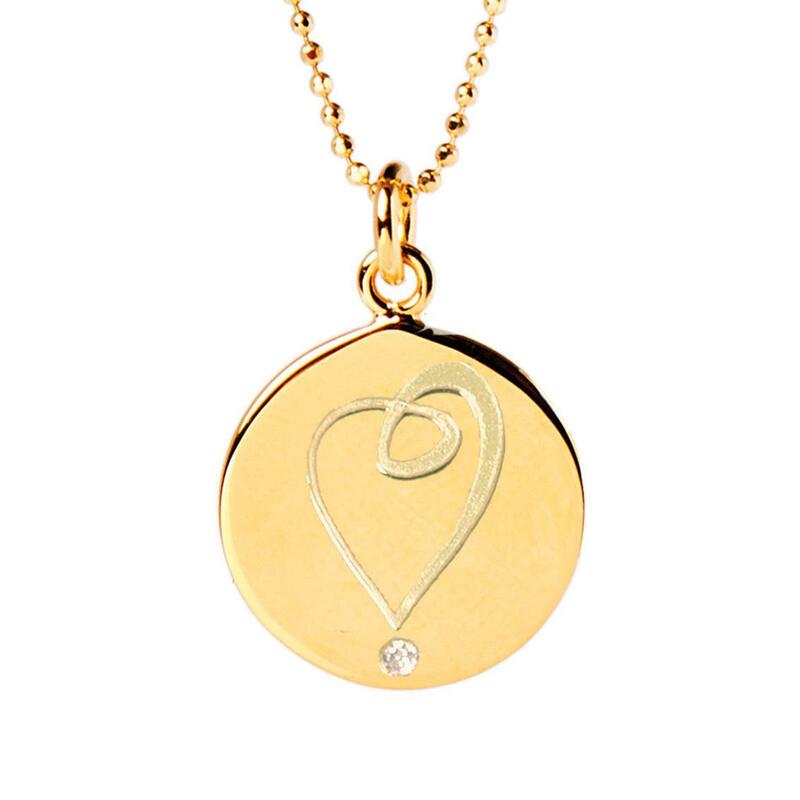 The heart necklace makes a supportive gift for someone going through cancer or other illness; but can also be given as a thank you to someone for their help and support; or a powerful and motivating self-purchase as a reminder to yourself of just how special and loved you are. 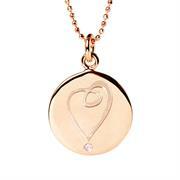 The necklace is priced at £50 in Sterling Silver and £70 in Yellow and Rose Gold-plated. 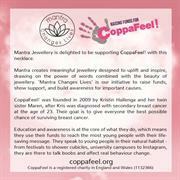 25% of the selling price goes to Breast Cancer Haven. With six welcoming centres across the UK and an expanding network of other services, the charity is there to provide women with the support that treatment alone can't. When breast cancer comes along, you can find yourself being relegated to the status of a patient: Breast Cancer Haven (Registered Charity No.1061726) focuses on the person, not the patient. 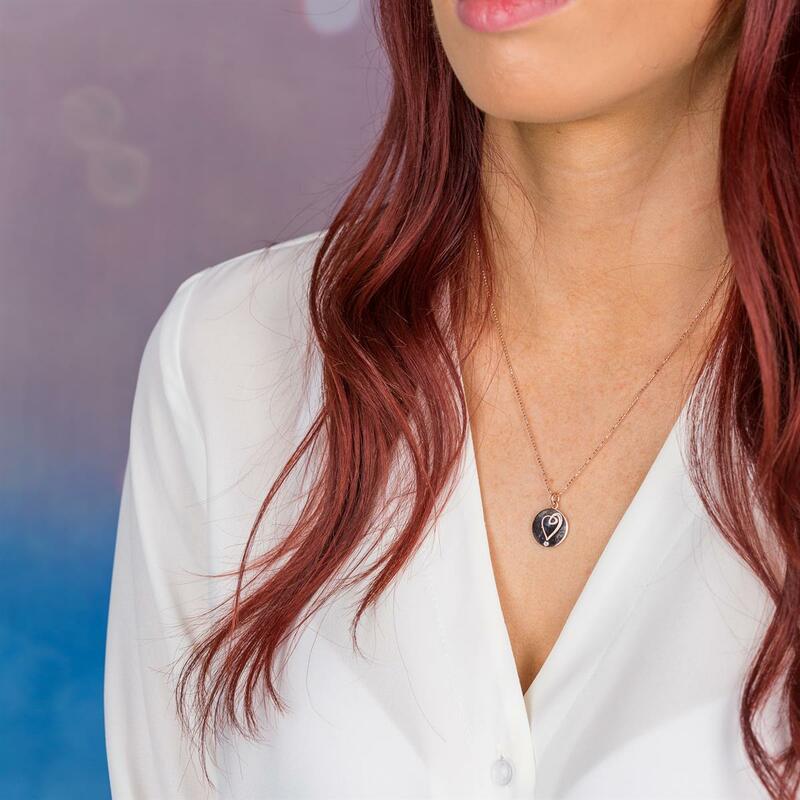 This is one of our personalised necklaces that is blank on the reverse to allow for personalisation, with a name, date or special word or phrase. Click here for more info on delivery and returns.